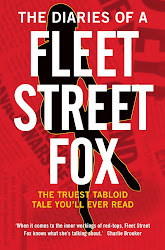 fleet street fox: A bad business. IF YOU had a business which cost more than it could ever make you'd shut it down. If its customers were dying, its services needed constantly updating with the latest technology, and your staff complained about working longer for the pensions you couldn't afford to pay, you'd give up the whole thing as a bad job and do something else. But then, the National Health Service is not a business. It's an idea, which became an achievement, and is now a public service. It's not there to make a profit, have a turnover or help anyone pay less tax. But for the past 20 years that's exactly what it has been doing. The industry of being ill earns money for the companies that run the car parks, provide the agency nurses at ten times the cost of just employing them properly in the first place, serve up food that costs less per head than we give out in prisons, and charge £5 a day for watching telly. Those firms pay a fee to the hospital which adds it to the balance sheet to show it's turned a profit on the business of saving lives. And to cut down the costs part of the balance sheet, in 1992 a bright spark called John Major decided to introduce Private Finance Initiatives. It's not a new idea - PFI is simply a modern term to describe a way of getting a business to pay for something the public needs, which in return gives that business some trading opportunities. In the case of hospitals, someone builds one and is then given contracts to help run it for 10 or more years afterwards at guaranteed rates, which makes it a very nice business to be in. Labour attacked the whole idea on moral grounds, and then when they came to power in 1997 realised that they had to stick with it if they were to build new facilities. Health Secretary Alan Milburn said at the time "It's PFI or bust", and started a bit of a spree. By 2007 Britain had £68bn worth of PFI schemes which over the term of their contracts would cost the public £215bn. Then the financial crash came and in 2009 Labour had to fund PFI schemes itself, or see them cancelled. The Tories accused Labour of bodging the whole thing but once in power Gideon rubber-stamped a further £6.9bn of PFI schemes. Our current PFI liability is £267bn, about one fifth of our GDP. And because we treat our hospitals like a business they have started going bust. In 2001 a PFI scheme built two new hospitals near where I live. They shut one old hospital down and planned to sell it off for housing to help pay for everything. But it didn't sell, the debt was crippling and in 2009 three hospitals were put under the control of one body in the hope it would steady the ship. It didn't. It still has a debt of £69m and for the first time since the NHS was founded the health secretary has warned it's about to go bankrupt, with the likely solution the public will have to shoulder the debt. I've used that new hospital several times in the past few years. I've graced A&E, flirted with doctors, been x-rayed and maybe even had my life saved by the gynaecologist who burned off some pre-cancerous cells from my cervix. It's a very nice hospital, fairly clean, excellent staff. It needs to sort out its parking but other than that I'd say it was all money well-spent. But the balance sheet says not and there are 19 other health trusts with similar problems. University Hospital Coventry had to borrow £54m from a bank to make its first PFI repayment before its doors had even opened, and up and down the country wards are being mothballed and services cut as the bean-counters make paying off the debts a priority. It won't be long until other hospitals go phut, because death and illness only ever turns a reliable buck for the undertakers and we'll end up paying more in the long run for the services which someone had decided were too expensive to start with. 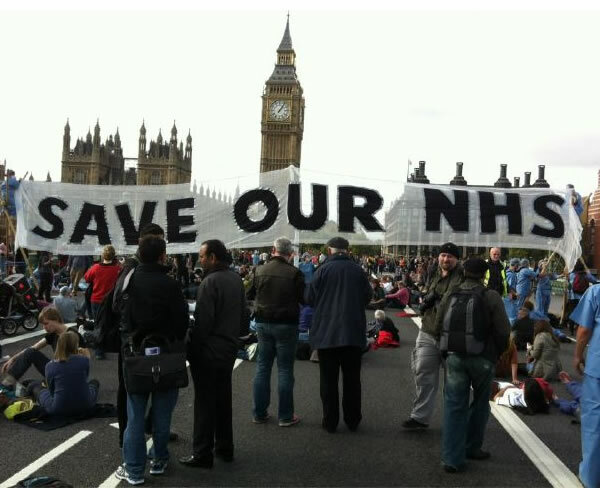 Perhaps when that happens, when the empty public purse is scrabbled in but cannot pay debts to corporations we didn't vote for and which pay as little tax back as possible, it might occur to someone that the NHS is not a corporation. Never mind who did what or owes whom. Life and death don't get traded on the Stock Exchange and I don't want someone to look at me on a hospital bed one day and do some sums before they decide whether to fix me up. The NHS will always be insolvent. It will always cost more than it makes. It has always been massive, unwieldy and inefficient. That it does not work like a business is not the problem. The problem is that it is run by people who have lost sight of the one resounding and primary principle which has driven it for 66 years: that health is priceless. And it's the corporations, politicians, bureaucrats and sheer inhuman beings who've had a hand in the whole sorry mess and are too busy doing sums to fix it who are the truly bankrupt. It's not until you're sick you realise you need saving.